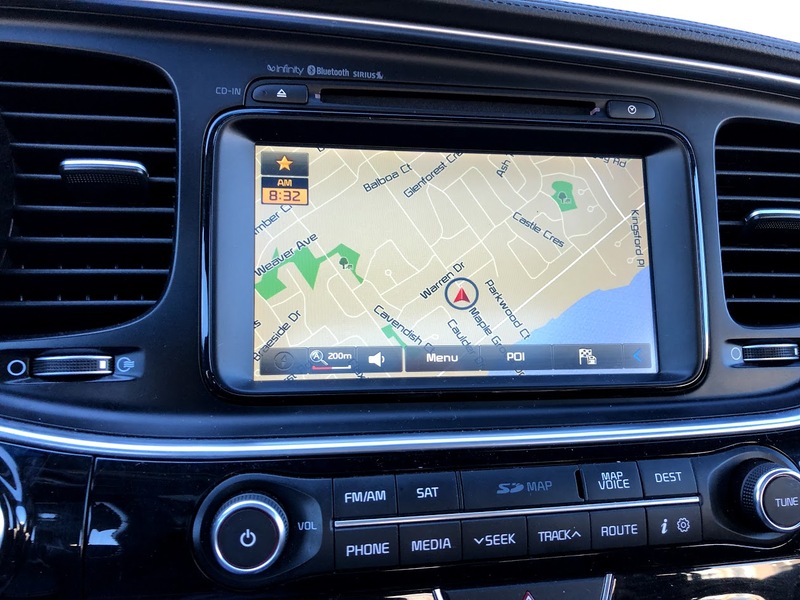 I've got a 2014 Optima SX Turbo and about a month ago the navigation stopped working properly. Viewing the navigation screens I see the map but the current location is stuck at an incorrect location and doesn't move when I drive. 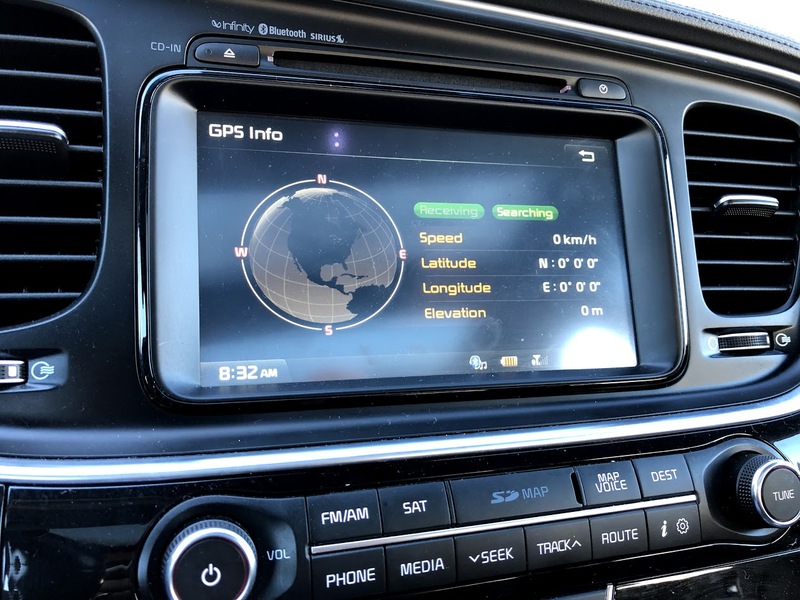 Looking at the GPS screen in the settings menu, it looks like it is not acquiring a signal from the GPS satellites. Is there a way to hard reset the system? Has anyone encountered/solved this issue before? I Searched for - reset button - within Forum and a UNavi owner stated - It turned out to be a faulty antenna, with the possibility that it was also too close to one of the speakers on the dash (and getting interference from the magnet). The (system) Reset btn use to be just right of the Pwr/Vol button and I can't see one in pic - Do you? Ball-point-Pen sized hole. See manual, on my former '14 EX manual it's Pg 1-7. There is a Re-calibrate Sticky at topic main page top but That presumes a signal. Definitely don't see a reset button beside the power/volume. I believe the re-calibration sticky is for calibrating the touch screen. But in either case, yes - I have no signal. I brought it in to the Kia dealership and the only advice they gave me was to try and hard reset - remove the battery for 20-30 minutes. I tried this last night and it took a good minute or two to boot and cleared a lot of the saved settings, so it surely reset - but no luck as the issue is still happening. They also said that upgrading the map to the latest software could also work, but may not. I really don't want to buy the new update to find out that it doesn't solve the problem. Had this happen on my 2019 SX, fortunately it resolved itself after being shut down for 8 hours. You didn't mention an Antenna check at the Svc Ctr - Did they? A Spock Mind-Meld is surely quicker BUT I Presume they can confirm that a good signal is AT the connector where the cable attaches to the Nav Unit. 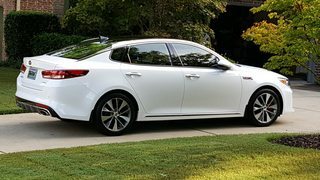 Really disappointed with Kia Service. I understand that the car is about 5 years old, but they are basically telling me that even checking what the issue is will cost me. Not only that, but their best suggestion is to try buying an expensive map upgrade. Might work, might not - who knows? Oh and you can't refund it. Sorry. I've felt this the entire lifespan of ownership. Really nice people at Kia, but they aren't afraid to say - any work we do (even diagnosis) is $$$. I've been so happy with this car - at the time of purchase, there was nothing comparable on the market, which has now seemed to force all competitors to offer the same full feature set in their vehicles. I'm now likely going to sell this vehicle and get a different brand. Call around .... See IF capable (1st), then what an Audio Install shop would chg to test the Nav Antenna. Feel certain it's Much less than a dealer Svc. I wouldn't give up (at least) until I knew antenna was Good / Bad. Last edited by COS-16SXL; Today at 09:09 AM. Heard of Cell phones with GPS? How about GPS with a cell phone! GPS Nav and blue tooth?